Ready for another preview of sale goodies? I hope so, because I have lots to share! My mom and I went out on a big picking trip this Saturday and we found so many amazing things. 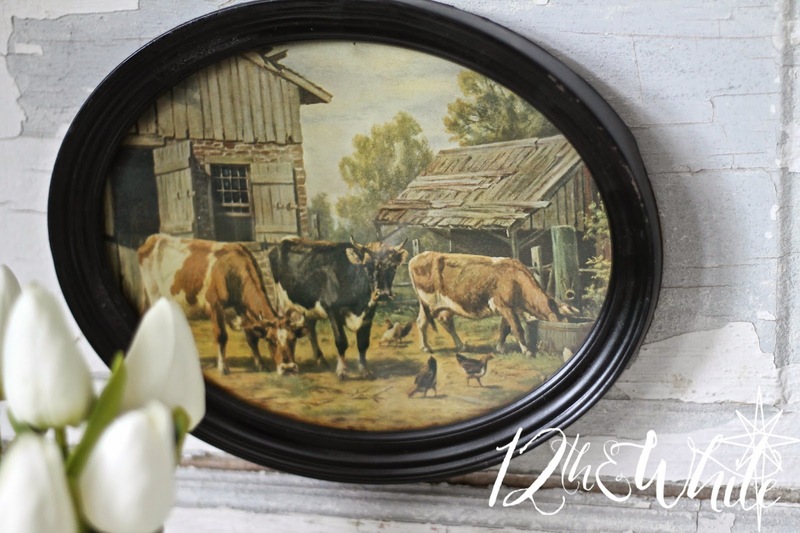 I was able to find a couple of really charming paintings (well, prints) that have the soft hues and farmhouse charm I love. The first is of some sweet little country cottages surrounded by trees and pasture. The other is a barn scene of three cows, and I love the idyllic setting, the colors and the oval shape. 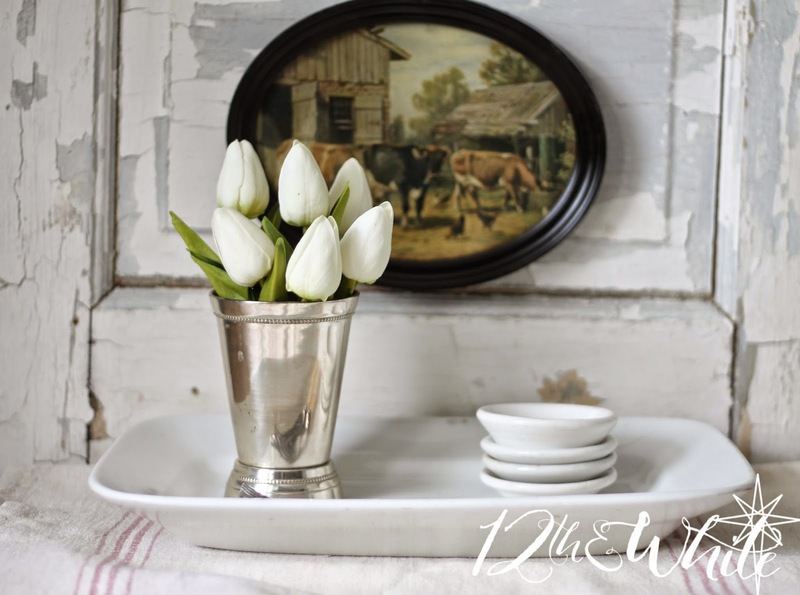 I also scored a couple of rectangular ironstone platters, some silver mint julep cups, and some ironstone butter pats. 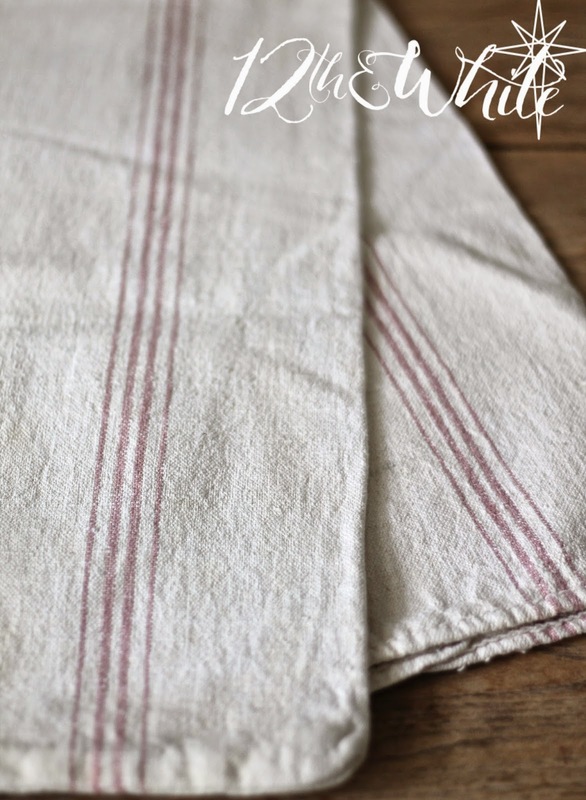 You can see how I use butter pats and why I love them here. 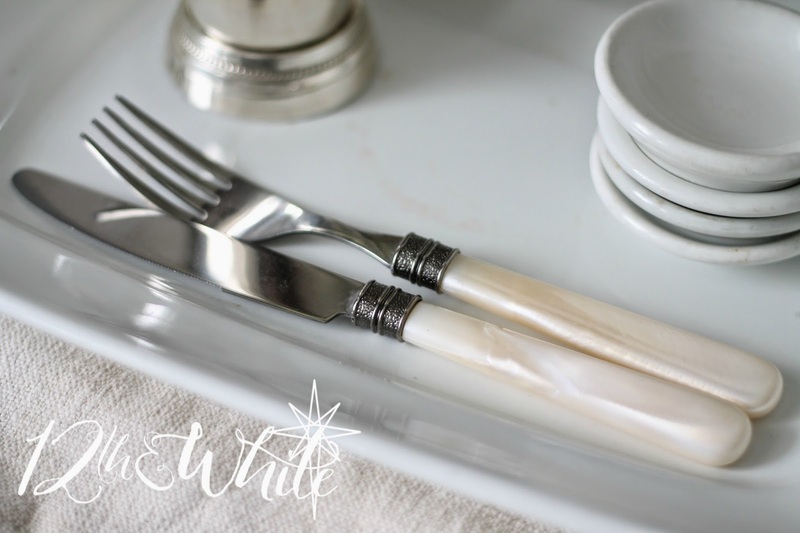 This little faux mother-of-pearl utensil set is so sweet, even if it's not the real deal. 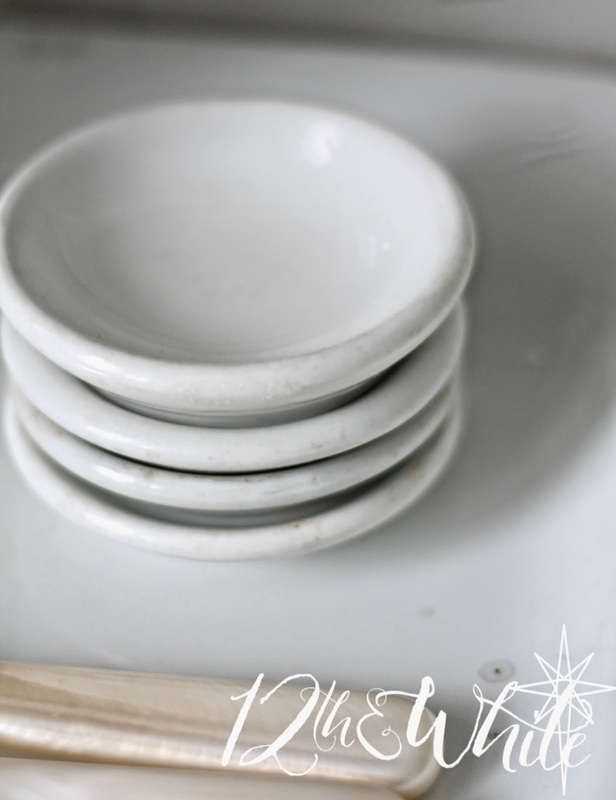 I love ironstone in any form, but butter pats are just so cute, especially in stacks. 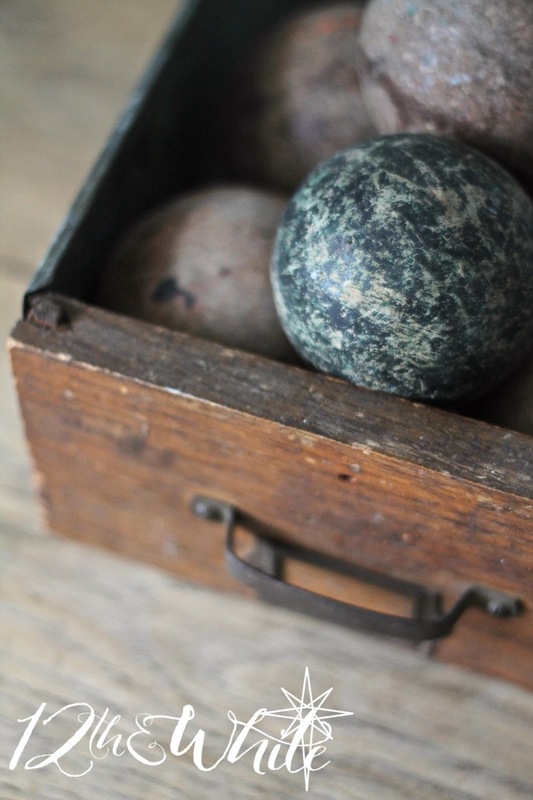 I filled this drawer with some old croquet or pool balls that have lost their paint. 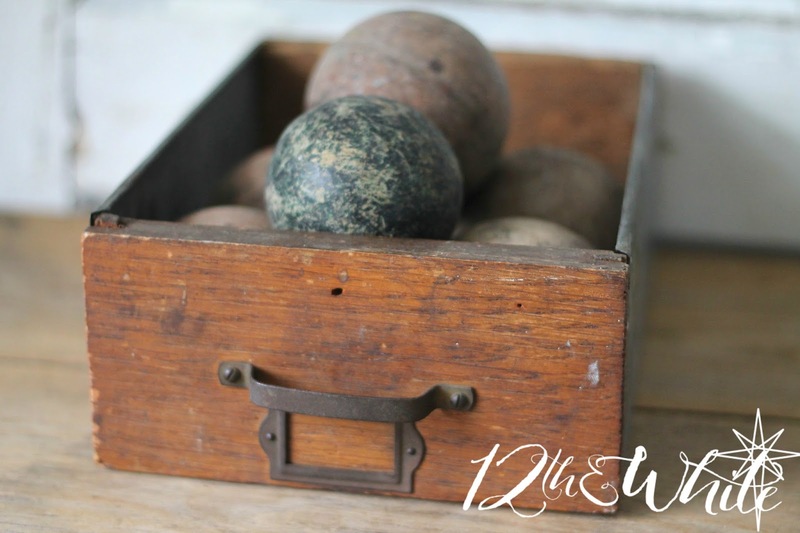 Now they're simply a beautiful weathered wood sphere that would add so much texture and interest in a display. 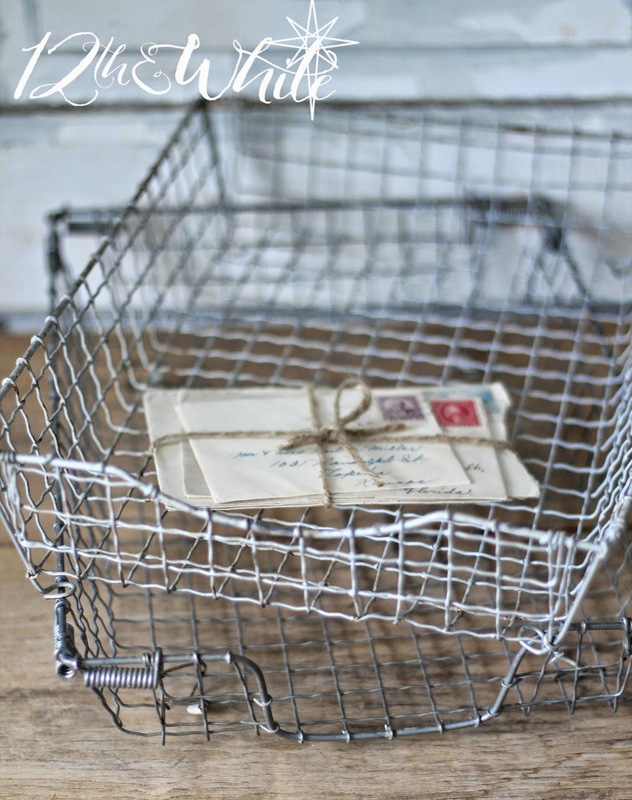 I also found a couple of these crinkly wire desk baskets. 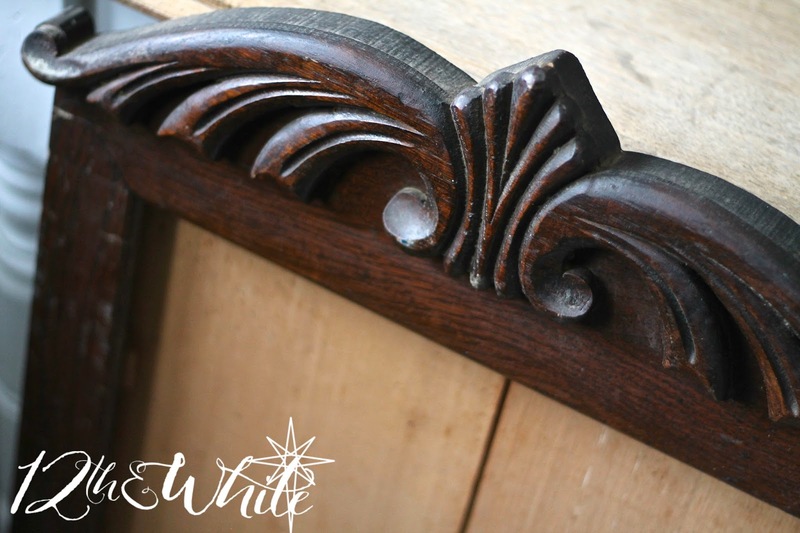 I just love the character of these. 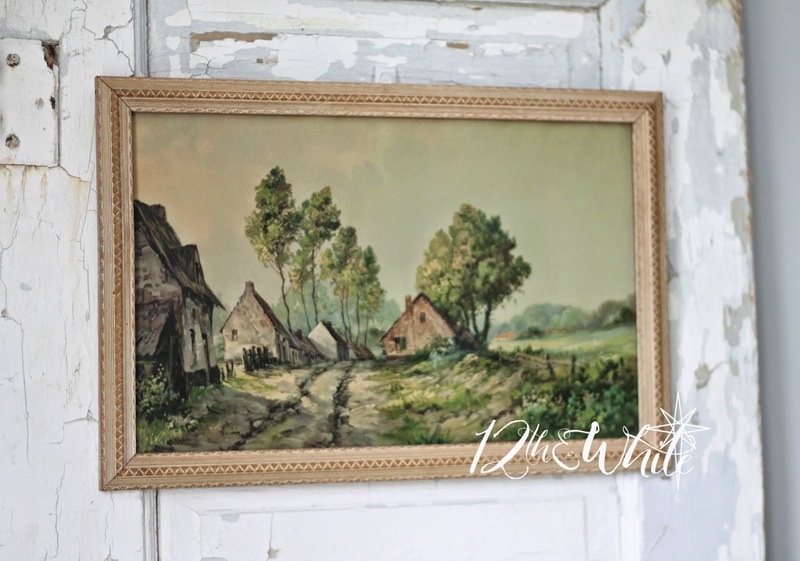 This large antique frame is so pretty, though it's missing its original mirror. I plan to turn the remaining backer board into a chalkboard and paint the frame white. 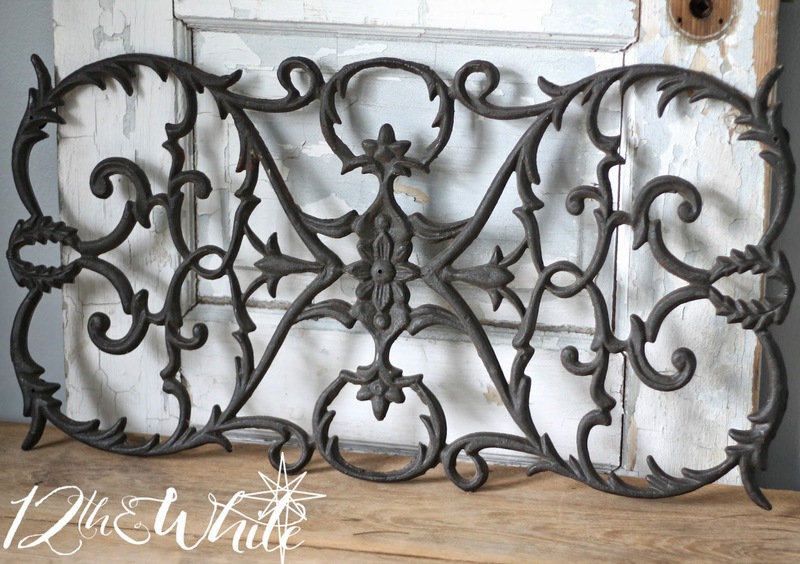 This salvaged iron piece is large and so striking. I can see it in a bookcase or displayed on a wall above a console. 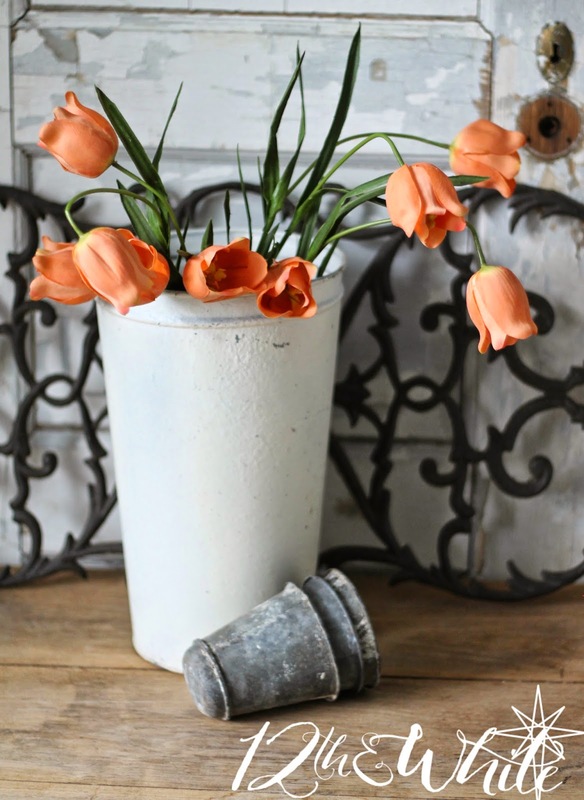 I had to have these tulips that were in a display since they were peach, one of the colors in my new branding. They're filling a simple white vintage sap bucket. 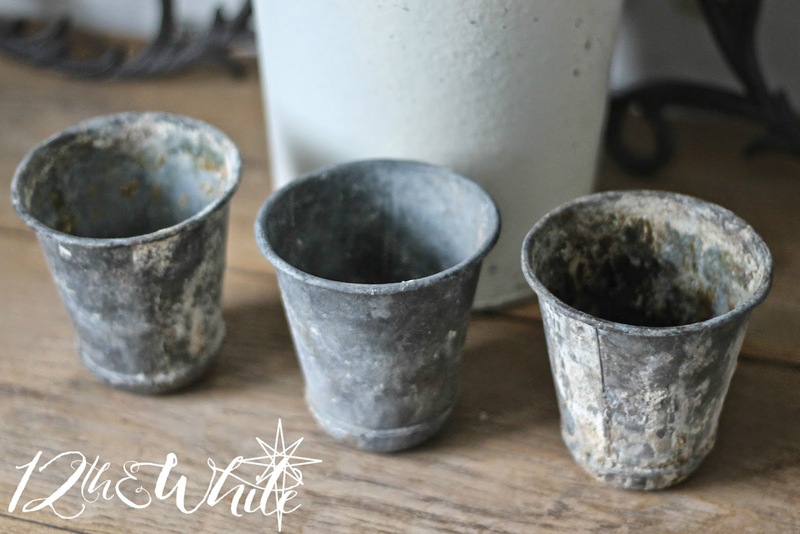 I love it whenever I find French zinc pots like these. I've bought and sold a lot of them and they're always full of patina. 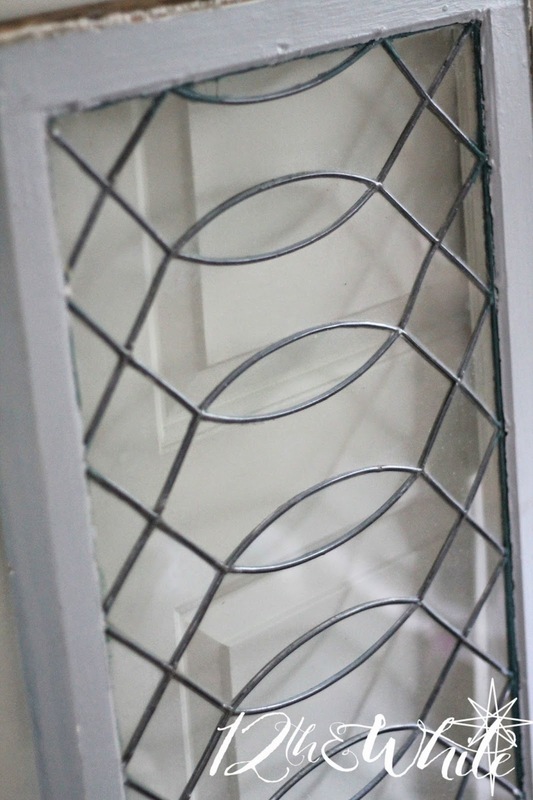 And last but not least, I also found this amazing antique leaded glass window. I LOVE this gorgeous piece and this photo does not nearly do it justice. It's very large - several feet long, and all the glass is intact. One side is a soft dove gray, the other is white. I'm going to be sad to see this one go : ) Price is $125. There is lots more I didn't photograph, but this at least gives you a taste of some of the thing that will be available at the sale on September 6. What would you pick out? Anything that's your favorite? Hope to see you there! You can RSVP and invite friends over on Facebook if you'd like! Awesome finds. I want it all but I really want the window. I suppose you don't ship? Good luck with your sale. I am pretty excited for the sale! 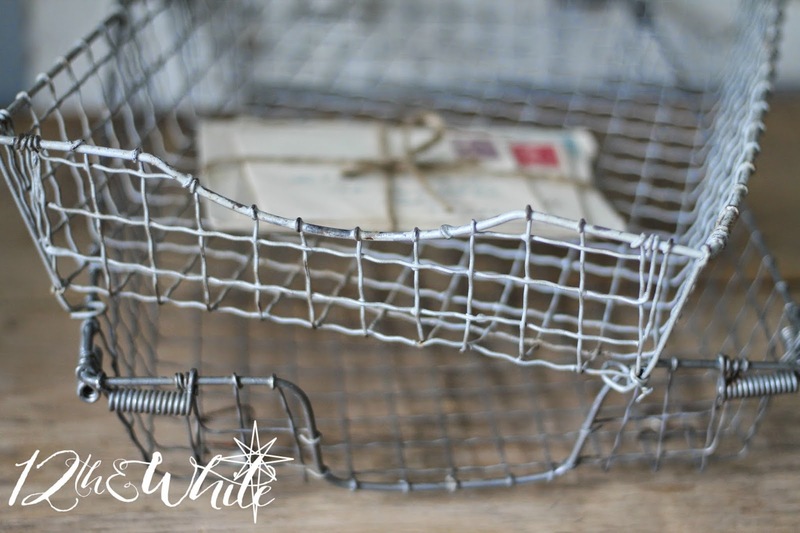 We JUST bought a big ole farmhouse on Saturday and I cannot wait to decorate it! Will it be an online sale or a stop by and shop sale? !